What Liquor Can I Put in Carrot and Ginger Soup? Adding liquor can enhance the flavor of carrot and ginger soup. 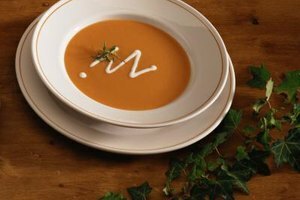 Creamy carrot and ginger soup is a luscious concoction that features earthy root vegetables and tangy herbs. Though the basic recipe calls for carrots, ginger, broth and cream, a variety of ingredients can be added for different flavor profiles. Enhancing your soup with alcohol is one way to change up its flavor and elevate its overall taste. Bourbon or Cognac as well as white wine are liquors that work deliciously in carrot and ginger soup. The rich, sweet flavor of bourbon is a good choice for carrot soup. The alcohol has a hint of vanilla with caramel undertones that will blend well with the carrots and cream without overpowering their flavors. Cognac, a fine brandy distilled from fermented fruit, is another good pairing with carrots and ginger. Its slightly sweet, smoky flavor will merge well with the earthy vegetable. Both liquors work equally well if your recipe calls for coconut milk instead of cream. If you plan on adding lemon or orange to your soup to enhance its flavor, a white wine would be a good choice as a liquor addition. 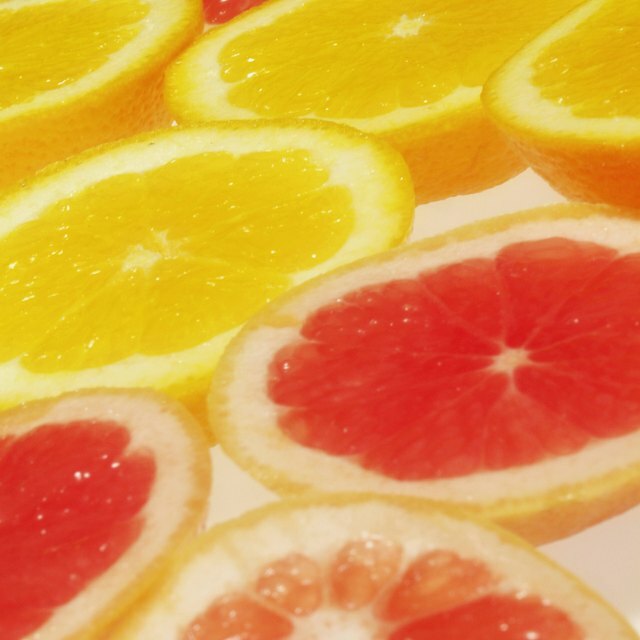 Choose a wine that has citrus notes such as a sauvignon blanc or pinot grigio. This will complement the carrots and ginger and highlight the bright citrus flavors. When adding liquor to your soup and simmering for 30 minutes, 35 percent of the alcohol will remain in the finished product. If you cook your soup longer, more alcohol will evaporate. What’s Cooking America: Alcohol Burn Off in Cooking: Does Alcohol Really Boil Away in Cooking? Candi Canncel is a writer covering food and drinks, travel and lifestyle. Her work has appeared on Food and Wine Travel, Craft Gossip, Belltown Local and other publications. She also teaches cooking classes and hosts food/wine seminars. How Can I Make a Vegetable-Based Broth for Soup?